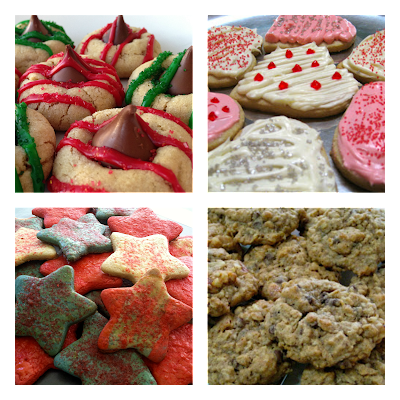 December 4th has been declared National Cookie Day! For that, we shall celebrate with a GIVEAWAY!! Cookies have been around FOREVER. When I say FOREVER, I mean, heading back to the 7th century in Persia where cookies appeared soon after sugar became popular in the region. Cookies made their way to American in the 17th century, where macaroons and gingerbread cookies where among the first popular American cookies. From bar cookies to no bake cookies to rolled cookies to sandwich cookies and now, gluten-free cookies, there are so many cookies, that we must share the love!! I reached out to Pamela's and said, "Let's do a giveaway for National Cookie Day!" And they kindly obliged. ENTER BELOW TO WIN - Winners will be randomly chosen and announced on Raising Jack's Facebook page and emailed directly on Friday, December 11th. Happy Baking! Eat lots of gluten-free cookies today!! I have not tried Pamela's products yet! Great way to test them out!